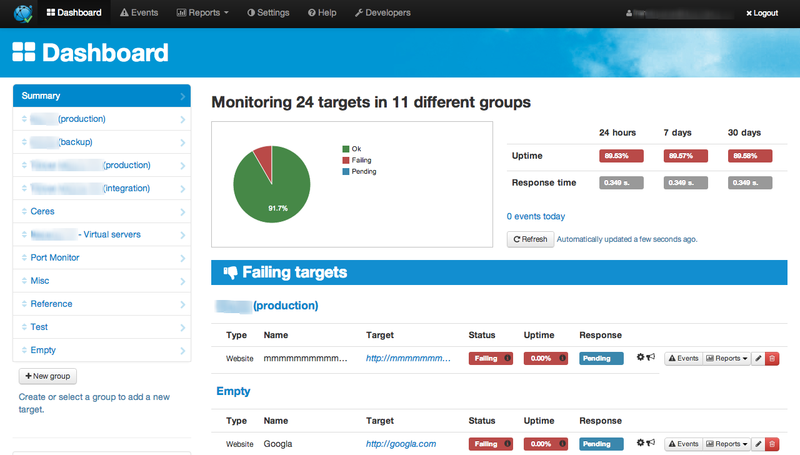 Website and server monitoring made simple! All the information you need in one screen. Something important happened? Be the first to know. Get detailed information about your websites or servers response time (including real-time averages). Have been your websites or servers up all the time? When did the go down? 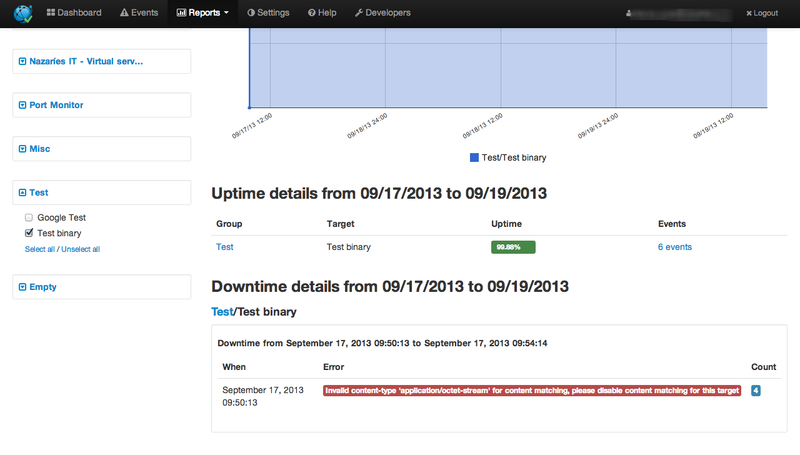 Know exactly what was the downtime cause. Don't like to work alone? Notify your coworkers automatically. Try it for free! Plans & Pricing From $4.54 / mo! Any of your websites or servers went down? Be the first to know! 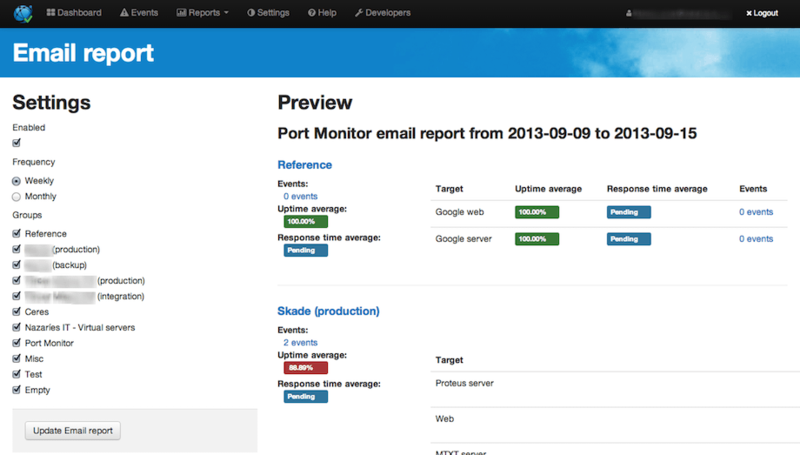 Port Monitor is an easy and online tool that does website and server monitoring for you 24/7 every 60 seconds and sends you or your co-workers instant email/push notifications when something goes wrong. It also records uptime, website/server response times (performance) and downtime causes. Generate your own periodic or real-time custom reports. 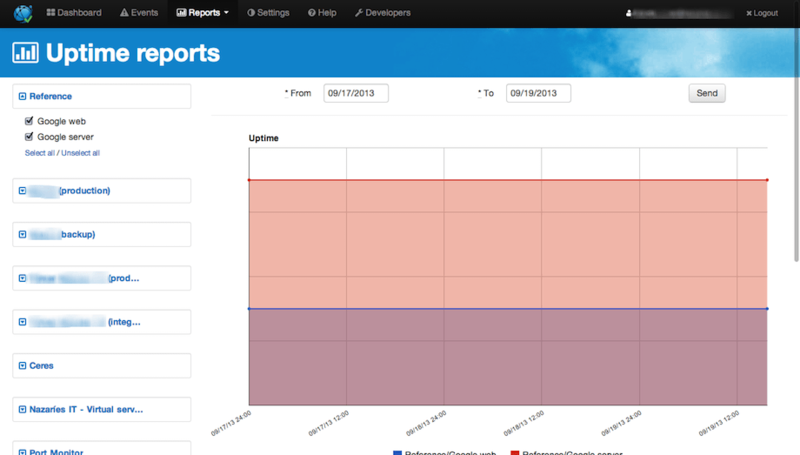 We have just upgraded our core technology and now Port Monitor is 100% compatible with latest SSL certificates. We've improved our SSL compatibility and now Port Monitor won't report as failing some sites using old SSL versions. Thanks for all your feedback! 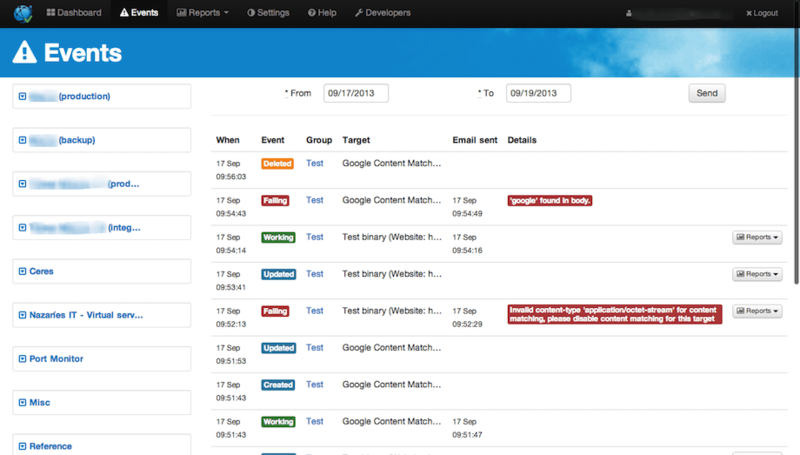 We've deployed some changes to improve the UX, please let us know your feedback. We've released a version with some bug fixes on it, please don't hesitate to contact us if you discover any new bug, we'll reward you with extra monitors! 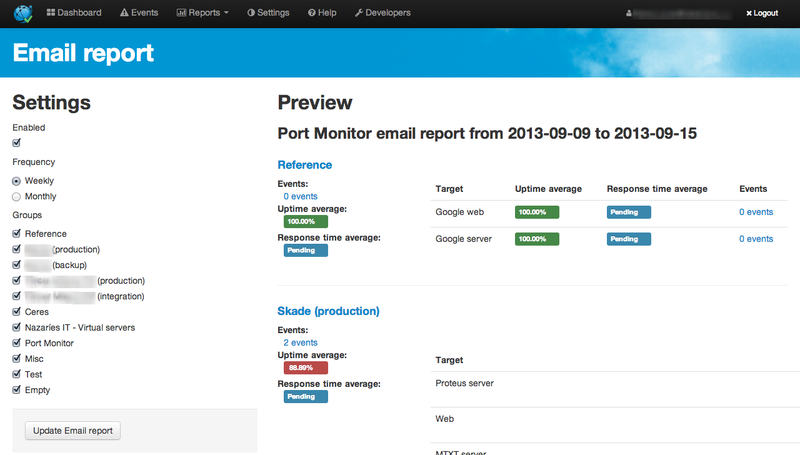 Please use this link to try the new spanish version: Port Monitor en español. Go to the new public status pages tool to create and share your own status pages. Check out our new paid plans. 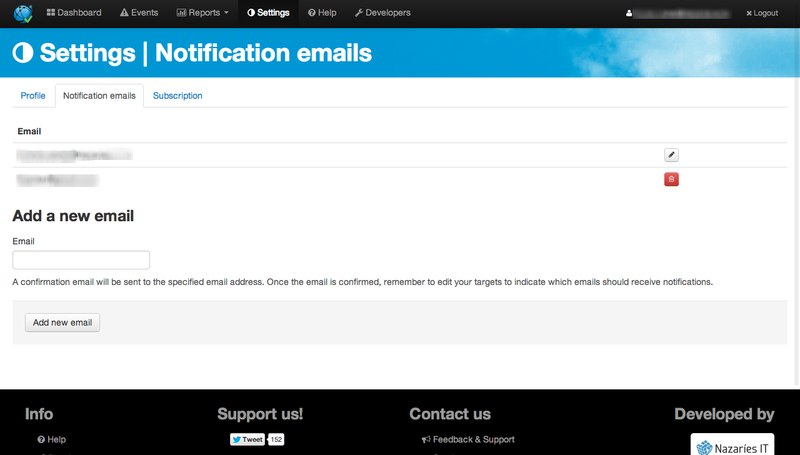 From now on we'll use noreply@port-monitor.com instead support@port-monitor.com to deliver notifications. Port Monitor service will also check from IP 37.187.141.25. Checks from IP 212.142.132.240 will be less frequent. Email address for notifications will change in the next days from support@port-monitor.com to noreply@port-monitor.com. We want all of you to enjoy free checks every 60 seconds but every day more and more people are using Port Monitor and millions of checks are being done every day. We've optimized our background services to adapt to the growing demand. Thank you for using Port Monitor! We are finishing the beta stage, stay tuned and thank you all for the reports! We are a startup company called Nazaríes IT and located in Spain. This project has been developed using Ruby on Rails (our favorite framework) because we couldn't find a website monitoring or server monitoring online tool that fit our needs. Please, feel free to contact us with any doubts or issues you find while using it. We will be pleased to help you or fix the issue ASAP. Currently, we are working on adding new features like new website monitoring and server monitoring options, while in the meantime, finishing the iOS app. If you find this project interesting or useful, please, help us and share it! 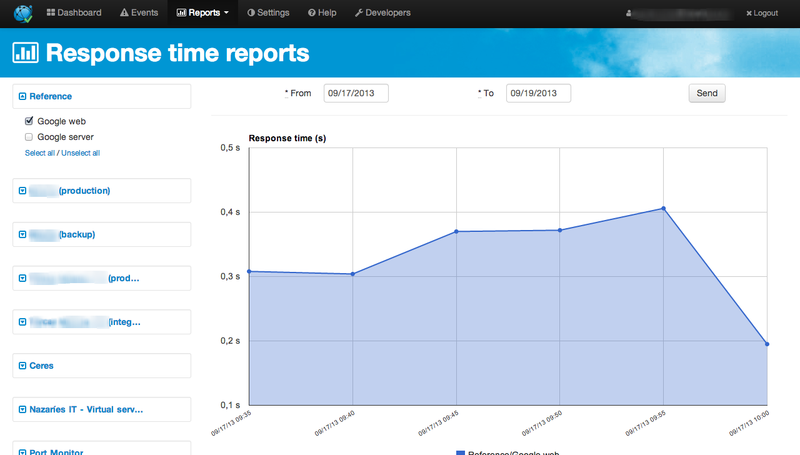 Thanks for trusting your uptime in us!